← (#102) What is the Purpose of Education? There were only 2 or 3 other customers in the entire store. Five minutes later. I left. Clarifying comments. I am a rewards member at this store. I have done business with them for a number of years and have had positive experiences in the past. But over the past year or so my wife and I have noticed how the service in this particular store has slowly less acceptable. Maybe we were just unlucky. 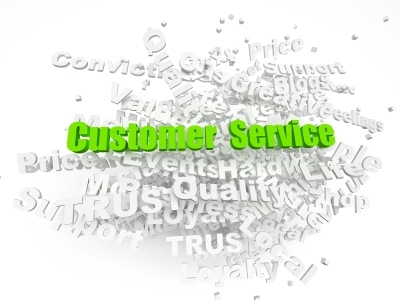 Maybe every other customer experience is a great one there. Maybe every other store is phenomenal. Not for us. And definitely not for me on this day. Next stop, national chain big box store #2 right down the road. I entered that store and was the ONLY customer in the store (at least from what I could see). Two employees directed me to the duplicating department. Again, there was NO one at the counter. I started with, “I hope you are better than big box #1.” She assured me she would be. I explained the brief task. The young lady was very nice. She quoted me a price for what I needed that was more than double her competitor’s. I drew a breath and thought “Let’s just get this done.” She then told me that there would be a 40 minute wait! Remember there was NO one in the store. True, she was working on a duplicating project. But she did not make any effort to call the manager or the other employee in the store so that someone could do my five-minute job. I left. With my tail between my legs, I returned to big box #1. The employee was still working—which meant no acknowledgement again. I approached her, said hello, and explained what I needed. “Sure, I can do it if you leave it and come back.” Remember five minutes. I left—but did not leave the project. Again, the manager or some other store employee was nowhere to be seen in this less than busy store. The store has been in the family since 1994. The lady at the front desk, V, greeted me with a smile and asked me to wait when I first entered. “Oh, boy,” I thought, “again!” However, she hastened to add that there was an elderly lady sitting in her car. This employer was bringing the customer her change and purchase—to her car. Wow! Remember at the big box I did not even get a hello! These people are walking to the parking lot to assist. Impressive. There were only two employees in the shop. One, Steve, gladly did my job (in about five minutes, thank you!). While waiting, I asked V about a duplicating project I had to have completed—and was going to bring to the big box store next week. She quoted me a price—a price that was cheaper than the two big box stores. I then asked her about business cards. Again a great price. I am in the market for a QR Code. Voila! This little shop can do that as well. Sure the big box stores have more selection. Big box stores (at least the two I visited) were out hustled (and it did not take much) and out managed (again, they set a low bar) by a small operation that was happy to see me and quick to provide a service. In the long run, I am grateful that I had the experiences I did. Copy-Graphics has earned a new customer. I will leave you with a video from Dave Carroll. He had a terrible experience with United Airlines (broken guitar). Rather than get angry, he took to social media. 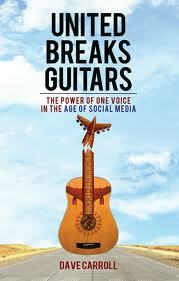 His video United Breaks Guitars went viral (nearly 12 million views). He wrote two more songs and produced two more videos; has written a book; and his first video is used for customer service by some companies now. I can recommend two more stores that may want to spend some time watching it! This entry was posted in redundant mediocrity, Uncategorized. Bookmark the permalink.